Do you ever think about other lifetimes? I’ve been fortunate enough to have serendipitously met a few people in my life that I have instantly bonded with. Bosom friends. Sister from another mister. Love at first laugh. There’s that moment when you connect so quickly it feels like you’ve known one another your whole lives. You can go years without seeing each other and get along better than most of the people you’ve met in the same amount of time. Almost like you’ve done this so called life together before. Ok, enough of the philosophy. If I go too far down the rabbit hole there’s no going back! After not seeing each other for seven years, my friend Elyse spontaneously decided to visit me in Dublin for a week. She’s never been to Europe before so we managed to squeeze in a quick two night trip in Edinburgh. Elyse is the first person I met at university. Some random “soph” (Definition: overly excited second year student trying desperately to relive their first year) pulled me out of the car at my new residence and proceeded to force introductions with a handful of other students who were pulled out of their cars at the same time. Thankfully, Elyse was the first person I met and we connected as soon as we discovered we were both in the same media program. We ended up spending way too much time together as we found each other equally hilarious (surprisingly, not many others shared this disposition). From thereonin we ended up living in a share house with three other hilarious girls. After spending time with each other nearly every day of the school year for four years, I decided to take off to Australia, then British Columbia, then Ireland, until suddenly we hadn’t seen each other for seven years. We picked up exactly where we left off and made for great travel companions. Fast forward to an adventure in Edinburgh. I’ve had the pleasure of visiting Edinburgh four times. Every time I go as soon as I get a glimpse of the city all I can think about is how amazing it would be to live there. Panoramic views of breath-taking Victorian architecture is a treat for the eyes and a boost to the creative soul. Edinburgh is a city that just makes sense. I’d imagine that the architects were inspired by the natural landscape and weather since the buildings are even more beautiful when it’s windy, cloudy and drizzling. Whenever I’ve gone I’ve only had one or two days to explore, so I’ve put together a little list of what to do in the city in 24 hours. The Royal Mile is the name given to a succession of streets in the Old Town. The stretch between two significant historic locations, Edinburgh Castle and Holyrood Palace, is the ultimate place to imagine medieval life. You can walk right up to the gates of Edinburgh Castle, and if you can spare the time, tour the inside for £17. On the opposite end you’ll find the Palace of Holyroodhouse, which is the official residence of Queen Elizabeth II, who spends a week residing there every summer. You can visit the palace for £14. A hill located at the end of the Royal Mile, climbing Arthur’s seat is a great way to spend a couple of hours when visiting Edinburgh. A relatively easy climb (my legs only hurt for one day after), you’ll get a chance to catch your breath while getting amazing panoramic views at the top. I’ve climbed Arthur’s Seat three times and would do it again next time I visit Edinburgh. Arthur’s Seat is the largest of three sites of the Arthur’s Seat Volcano site. Like the location of the castle, its formation is the site of an extinct volcano system. We made it to the top! Head out to either the Old Town or the New Town and try a unique Scotch you’d never get to try elsewhere. There are so many to choose from it can be a bit overwhelming. There are lot of good whiskeys to try at affordable prices so just go for something you’ve never had before. Besides that, Elyse and I came across a couple of great wine bars. We especially liked Smith and Gertrude in the New Town. You can choose different artisan cheeses ranging from £3.50 to £4.50 and cured meats from £4.50-£5.50. Or you can do what we did and order a mixed board of cheese and charcuterie (three of each) for £16. So.Good. We also treated ourselves to a great bottle of Langhe Nebbiolo, La Ca Nova for £30. If you’re short on time, visiting the camera obscura is a brilliant way of getting your bearings in the city. A Victorian style virtual tour, you are guided through the Unesco World Heritage site that is Edinburgh from a tiny dark room. Tickets are £15.50 for adults and they’re valid all day so you can come and go as you please. There are some great photo opportunities from the top of the building as well. On the south side of Princess Street you get amazing views of the Castle perched atop the volcanic site, giving the illusion of the castle blending in to the rock as if it’s part of the earth itself. There’s also a massive gothic monument to Sir Walter Scott, the stunning Balmoral Hotel, and the Princess Street Gardens. On the other side, you’ve got your high street shops. Ladies and gents, there is some serious Primark action happening on this street. Sprawling over about 5 floors, if you fancy a bit of shopping you’ll find some stellar deals. If you’re a Harry Potter fan, there is always a ton of paraphernalia to choose from (pyjamas, socks, notebooks, etc). We did all five of the things on the list (but didn’t go inside the castle or palace) in 24 hours and had a great time. Next time I’m there I plan to check out the galleries, museums, and evening ghost tour. Return air coach transport from Airport to Edinburgh City £7 (this bus leaves every 10/15 minutes. Great service). The city is very walkable and we didn’t need public transit or taxis at all. Edinburgh is wildly beautiful. In my opinion it’s an underrated gem in the United Kingdom. It seems almost unfair for so many gorgeous buildings to be located in such close vicinity, and it’s a pleasure to visit every single time. Do you ever think about other lifetimes? I’ve been fortunate enough to have serendipitously met a few people in my life that I have instantly bonded with. Bosom friends. Sister from another mister. Love at first laugh. There’s that moment when you connect so quickly it feels like you’ve known one another your whole lives. You can go years without seeing each other and get along better than most of the people you’ve met in the same amount of time. Almost like you’ve done this so-called life together before. Ok, enough of the philosophy. If I go too far down the rabbit hole there’s no going back! After not seeing each other for seven years, my friend Elyse spontaneously decided to visit me in Dublin for a week. She’s never been to Europe before so we managed to squeeze in a quick trip to spend some time in Edinburgh Scotland. (If you don’t fancy reading a little story about university life, scroll down to my top five ways to spend time in Edinburgh Scotland). Elyse is the first person I met at university. Some random “soph” (Definition: overly excited second-year student trying desperately to relive their first year) pulled me out of the car at my new residence and proceeded to force introductions with a handful of other students who were pulled out of their cars at the same time. Thankfully, Elyse was the first person I met and we connected as soon as we discovered we were both in the same media program. We ended up spending way too much time together as we found each other equally hilarious (surprisingly, not many others shared this disposition). From thereon in, we ended up living in a share house with three other hilarious girls. After spending time with each other nearly every day of the school year for four years, I decided to take off to Australia, then British Columbia, then Ireland, until suddenly we hadn’t seen each other for seven years. We picked up exactly where we left off and made for great travel companions. Fast forward to an adventure in Edinburgh. I’ve had the pleasure of spending time in Edinburgh Scotland four times. Every time I go as soon as I get a glimpse of the city all I can think about is how amazing it would be to live there. Panoramic views of breath-taking Victorian architecture is a treat for the eyes and a boost to the creative soul. A hill located at the end of the Royal Mile, climbing Arthur’s seat is a great way to spend your time in Edinburgh Scotland. A relatively easy climb (my legs only hurt for one day after), you’ll get a chance to catch your breath while getting amazing panoramic views at the top. I’ve climbed Arthur’s Seat three times and would do it again next time I visit Edinburgh. Arthur’s Seat is the largest of three sites of the Arthur’s Seat Volcano site. Like the location of the castle, its formation is the site of an extinct volcano system. Head out to either the Old Town or the New Town and try a unique Scotch you’d never get to try elsewhere. There are so many to choose from it can be a bit overwhelming. There are a lot of good whiskeys to try at affordable prices so just go for something you’ve never had before. Besides that, Elyse and I came across a couple of great wine bars. We especially liked Smith and Gertrude in the New Town. You can choose different artisan cheeses ranging from £3.50 to £4.50 and cured meats from £4.50-£5.50. Or you can do what we did and order a mixed board of cheese and charcuterie (three of each) for £16. So.Good. We also treated ourselves to a great bottle of Langhe Nebbiolo, La Ca Nova for £30. I can’t think of a better way to enjoy our time in Edinburgh Scotland. Can you? Edinburgh is wildly beautiful. In my opinion, it’s an underrated gem in the United Kingdom. It seems almost unfair for so many gorgeous buildings to be located in such close vicinity, and it’s a pleasure to visit every single time. Are you interested in travel? Check out my time in Slovakia – winter spa weekend. Apologies for the hiatus. Sometimes life gets so busy you unconsciously set your creativity aside. It’s not like I haven’t been anywhere since I’ve last written. It’s been a great couple of years! I’ve travelled all across Spain, exploring the difference in culture across Madrid, Bilbao, Santander, Seville, Huelva, Cordoba, Granada, Tarifa, Jerez, Cadiz, Malaga, and Barcelona. After all that I had to take a siesta or two along the way. I’ve been to Portugal on four different occasions, visiting Porto, Lisbon, and different parts of the Algarve. I’ve indulged in the best pizza and pasta in Italy, exploring Rome, Trieste, Fruili, and Venice. I ran through the hills in Austria and belted out tunes from the Sound of Music (Number 21 on my Before 30 list) with my pals from The Western Gazette. Afterwards we went on to explore Salzburg, Vienna, and Prague. I finally visited Plitvice National Park in Croatia, a scenic waterfall haven that had graced my screen saver since I was 16. We also toured around Pula, Zagreb, and Rijeka. Plitvice National Park, Croatia, September 2017. Bucket list location. I’ve enjoyed the liberal, forward thinking Netherlands, including Amsterdam, Eindhoven, Rotterdam, and Delft. That’s just a taste of the what I’ve been up to, so needless to say I’ve been busy! The greatest joy of living in Europe is that it is so easy to take off for a night or two and visit a whole new country. Flights are so affordable (thank you RyanAir) and with accommodation sites like Booking.com it’s easier than ever to book a cheeky night away. I still live in Dublin and it is the perfect location to dart to and fro around Europe. This year I’m prioritising creativity. It’s time to get back to writing and design. Time to excercise the mind. I’m planning to travel a lot in 2018, and I’ll fill you in on all the shenanigans and also give you my top travel tips and recommendations. Here you’ll find the tales of my European Odyssey. Stay tuned. Posted on March 25, 2018 March 29, 2018 Author EuropeanOdysseyCategories Travel, UncategorizedTags Austria, Croatia, europe, featured, Inspiration, Italy, Learning, life, Netherlands, Portugal, Spain, travel, Writing2 Comments on The blog is BACK! Seven countries, a serious romance, and a full belly. 2013, you’ve been good to me. My mind was blown when I saw One Republic at The Olympia. I felt like a true local when I laughed at the Dublin jokes during the performance of Once at the Gaiety Theatre. I clapped and bopped along during the Jersey Boys Broadway production in London. I embraced summer while Glen Hansard and The Frames serenaded me at the Galway Arts Festival. With a glass or two of wine and bubbly I toasted Christmas with my love and wonderful friends at the National Concert Hall during the Baroque Christmas performance. I was frequently blessed by stumbling across great artist performances on Grafton Street. I stood in awe at Rodin’s sculpture of “The Kiss” in Edinburgh. I walked amongst glorious architecture in Barcelona, Paris, and Edinburgh. Stockholm, Sweden was snowy and stunning, filled with warm memories in the hostel and laughter everywhere we went. Brussels, Belgium indulged my taste buds, reunited me and my roommate from Gold Coast, and constantly surprised me at how wonderful a place it is. Barcelona, Spain was sensory overload. We were shocked at how affordable wine was at restaurants, had a great night out on the hostel pub crawl, and were overwhelmed by Gaudi’s architecture. London, England was a double trip destination. Both trips reunited me with old friends (one from Brisbane and one from university in Canada), both were filled with delicious coffee, never ending markets, an awe of how well the tube works, and leisurely strolls in Hyde Park. Paris, France was a living dream. Edinburgh, Scotland was also a double trip. Less than an hours flight and at about 20 euro round trip it’s too good to pass up. Edinburgh is an everything city — great food, beautiful hills, enchanting streets, art and culture. The variety of food was so good both times I was there it was like a trip for my taste buds. The Gothic architecture seems to be inspired by the natural landscape — the tall, dark buildings were made to stand amongst the black clouds and mist. Sliema, Malta was the trip where I finally got my summer. Me and my wonderful 2013 travel partner gallivanted across the entire Island, drank a bottle of wine with each beautiful dinner, sunbathed just a little too much, and were mesmerized by the many colours of the crystal clear, sparkling Mediterranean Sea. In 2014 I’m hoping to cross off a whole lot more items and also experience things that I never even knew should be on my list. I like to have goals because it makes me feel like I’m working towards something, however a lot of the most spectacular things I experienced this year I never could’ve planned. The best thing about New Years is hindsight. You’re given an opportunity to reflect, appreciate, and understand the things you went through during the year as a whole rather than dwelling on individual instances. And of course there is the beautiful promise of a New Year, destined to be whatever you decide to make of it. Cheers, 2013. It’s been a slice. I’m a contemplater, which means I often get really philosophical about life and simple realizations tend to blow my mind. I turned 24 on Saturday, and leading up to my birthday I was bombarded with feelings of awe and wonderment at life. 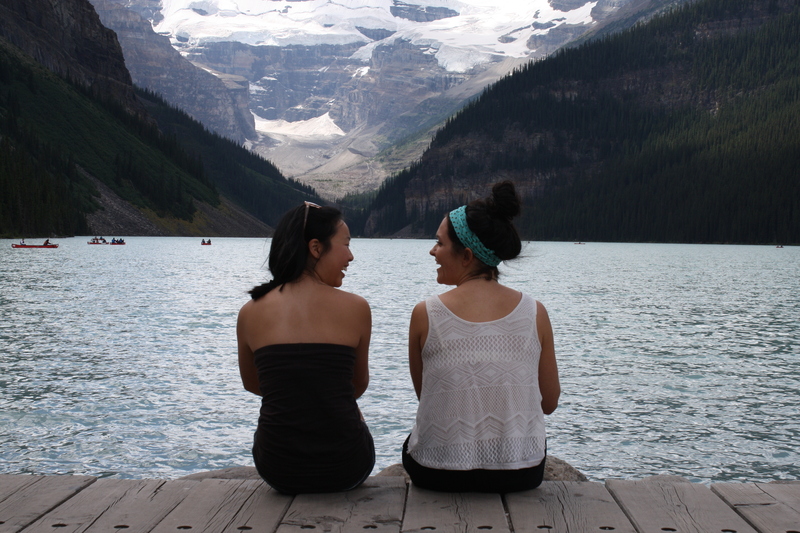 My good friend Candice and I at Lake Louise last summer. I’m sure Banff is one of the most beautiful places I’ll ever see. months while waiting for my new Australian visa to be approved then catch the first plane back to sunny Queensland. I never could’ve predicted what was in store for me, and in hindsight I’ve realized that life is truly what you make of it. I chose BC rather than move back to Ontario partially because I didn’t want to settle in too much and uproot my life and my relationships when I left Canada “in three months”. Eight months later, my current relationships deepened, I started a brand new, sure to be life long friendship, I was stunned daily by the glorious mountains surrounding me, and I discovered new passions. What started as a transition stage of life turned into a major chapter, a chapter where I learned to be more open minded, that I love to cook with alternative food, and that I’m obsessed with mountains. Most importantly, I learned to never sit still and let life pass you by. I learned to find something good about every day — whether it was going for a walk with my sister and brother in law, having a delicious coffee, reading a good book, waking up and seeing sunshine flood through the windows, or witnessing hoarfrost twinkle on the trees, there is always something good in every day. I had a regular customer at a restaurant that I worked at in Vernon, and without fail he would always say “every day is a good day, and some are better than others.” It’s those simple things that are what’s best about life. person I want to be and what I want out of life, but I still have time to change my mind a whole lot. I could settle down at any time or I can keep globetrotting. I can party all night or I can stay home and read a book. I can wear my nose ring and still be taken seriously. I can dance like crazy or sip on wine while discussing philosophy and values. I’m finished my degree but could still get a Masters. The options or endless, and I’m so grateful. I want to be the kind of person that follows through. If I say I’m going to do something, I’ll do it. I said I wanted to move in October, so when I was offered a job in Dublin I did some research and applied for a visa after five days. I said I wanted to travel Europe this year, summer specifically, and I have flights booked to Edinburgh, Brussels, and Barcelona, and plans to see many more countries in the warmer months. I’ve been talking about getting a tattoo, so I went for it. I said I wanted to be settled in Dublin in a week — I did it in five days. I’ve found my favourite coffee shops. I’ve seen Irish countryside. I’ve had a pint of Guinness and different kinds of whiskey straight. I can sing along to a few token Irish tunes. I say “half three” instead of “three thirty”. I live in Ireland, and after having Australia snatched out from underneath me, I feel a sense of urgency to enjoy each day and every cultural experience. I can’t waste any time. The world is at our finger tips and all I have to do is seize the good opportunities, have some music ready to make the soundtrack to my life, and bring a water bottle and maybe an apple or two. There are so many countries to explore, coffees to drink, songs to sing, and people to learn from. I can’t wait. Life is thrilling and utterly unpredictable, and I’m enjoying every minute of it. Music is a form of magic. It unites strangers. It can stir up your soul. It is the ultimate story teller. It matches your emotions and can make your mood swing from one end of the spectrum to the other. It is a universal language. It is powerful. Dublin has a wonderful music scene. No matter what days you have available to go out, you’ll never have to worry about catching some live music because guaranteed there will be multiple places with live music to choose from every night of the week. You have the option of concerts, smaller gigs with new and upcoming bands, traditional Irish music and dance, or talented cover artists at local pubs. Since I’ve been here I have experienced all of those options. I had a great time clapping along to some traditional Irish tunes at the Old Storehouse in Temple Bar, I sang along to some of my favourite songs being covered by an amazing vocalist/guitarist at Trinity Bar on Dame Street, I danced with a former of Lord of the Dance performer to some Irish jigs at The Mercantile, I experienced Bon Iver’s show in all of its glory at the O2, and I saw Matt Corby in an intimate, casual setting at Whelans Live. All of the shows ranged in price from free to 40 euros, and I thoroughly enjoyed each and every one of them. I experienced a phenomenal week music wise, seeing two of my favourite artists within a few days. I had the privilege of seeing Bon Iver twice this year, and I got the best of both worlds because I saw them in an outdoor venue in Burnaby on a beautiful clear summer evening and then again in Dublin in an indoor auditorium. They opened with the first track of their album, “Perth,” and then went in order of their album for the first few songs. They sounded incredible and I swear I could feel their music in every part of my being. The best thing about the indoor venue was that I got to experience the magic the set crew put into the performance. The lights accompanied the music, emphasizing moments and aiding in creating the appropriate atmosphere. It was their last show of the tour so it was very emotional for them, which translated into their flawless performance. They did a double encore because they “weren’t ready to stop playing music” and then lined up at the end to take a bow in front of a standing ovation. It was also announced that at this time there are no plans for Bon Iver to make more music together. One can only hope they’ll make another album. I can’t help but wonder how it feels to have your music, a product that you have dreamed up and pieced together, affect people by the hundreds, thousands, millions. So many people have an emotional tie to their music and that must be a surreal feeling. Whether a song evokes happiness, anger, or nostalgia, I think it’s all positive and cathartic. Matt Corby, several feet away from me. Halleluiah! 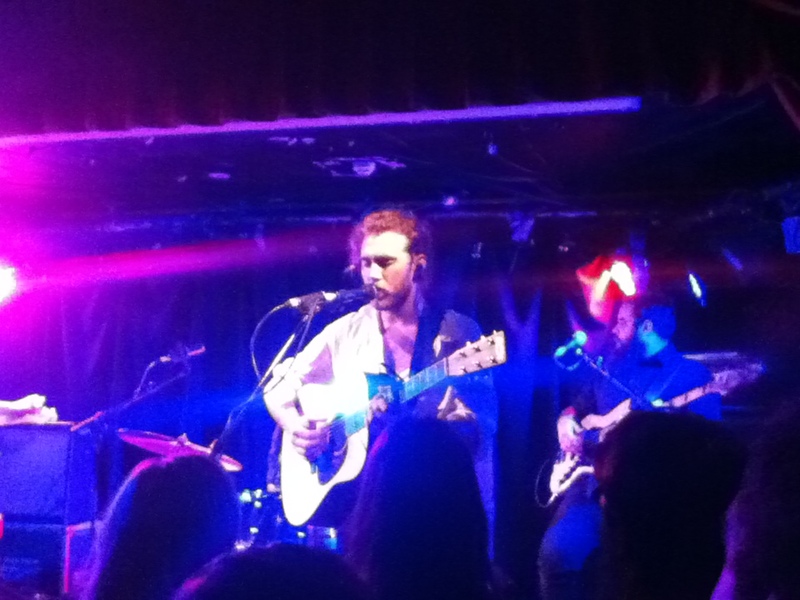 Two nights later, Matt Corby, one of my favourite Australian artists, was playing at Whelans Live (I highly recommend buying his EP “Into The Flame” on iTunes. You can thank me for the recommendation later). 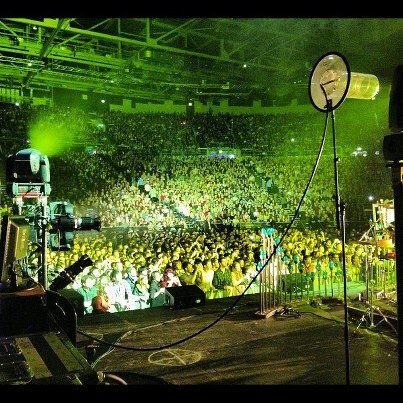 I discovered he was playing in Dublin about two and a half weeks prior, but it was already sold out. I couldn’t live with myself knowing that I didn’t try to see Matt Corby when he was playing at my local bar, so I was absolutely determined to get into that show. I scoured Gumtree, eBay, and Facebook ads in hopes of finding a ticket. Nothing. I posted an ad on Gumtree saying I’d pay over face value for a ticket. Again, nothing (well that’s a lie. I did get one guy emailing me two hours before the show asking if I wanted I ticket. I responded twice, with great enthusiasm, and then eventually he wrote back saying he gave his ticket to his friend — for free. Awesome.) And then, Whelans posted at the last minute on Facebook that an extra 15 tickets were being sold. Here was my big chance! I got butterflies in my stomach from nervous anticipation, grabbed my phone, and got some guy named Richie on the line. Richie told me there was one ticket left, and a wave of excitement and relief washed over me. Then, the line went dead. I ran out of credit and had to call O2 to top it up which took about five minutes, and then when I called back the last ticket was gone. I was devastated. My determination didn’t allow me to lose hope, though. I went to Whelans several nights before the show and asked everyone I talked to for advice on how to get in. Whelans is a big venue, with three different areas set up for gigs. The most common advice was to just show up early, grab a drink in the main bar, and hope you can either buy a ticket off of someone or be let in at the last minute. So, after Richie let me down, I quickly got ready, hit up the ATM, and booted it over to Whelans. The occurrence and development of events by chance in a happy or beneficial way: “a fortunate stroke of serendipity”. There was already a queue outside, and definitely no chance of buying a ticket off of anyone. I felt discouraged, but figured I might as well stick around until the doors opened and the crowd dispersed so I could try and convince the door staff to sell me a ticket. After all, we’re talking about Matt Corby here. Earlier that day I had been thinking about how I should talk to strangers more. Yes, I’m aware of stranger danger, but I’m talking about seizing opportunities to meet people. So, when I saw a girl journaling while drinking a glass of wine at Whelans at a table with an extra seat, I got over social boundaries and any fear of looking like a weirdo and asked her if I could sit with her. It was by far the best decision I had made all week. We ended up getting along really well and bonding over our love of music. She had been at Bon Iver’s show as well (and MET them afterwards!) and it was one of those times where we kept finding things in common with each other. Her friends joined us a little bit later and they all had tickets to the show and managed to get me in. It took a combination of sass and stealth, but ultimately the key was the serendipitous meeting of new friends. Everything happens for a reason. If I had gotten a ticket to Matt Corby earlier, I wouldn’t have met the amazing group of people I spent the evening with. My new friend, Laura, said that earlier that day she had actually been asking how people meet outside of work and school. The answer is to get over any fear of “bothering” people or looking strange and simply say hello and test the waters to see if there’s common ground. Ask if the seat is taken. What do you have to lose? If I had gotten a ticket earlier, I wouldn’t have met my new friends. 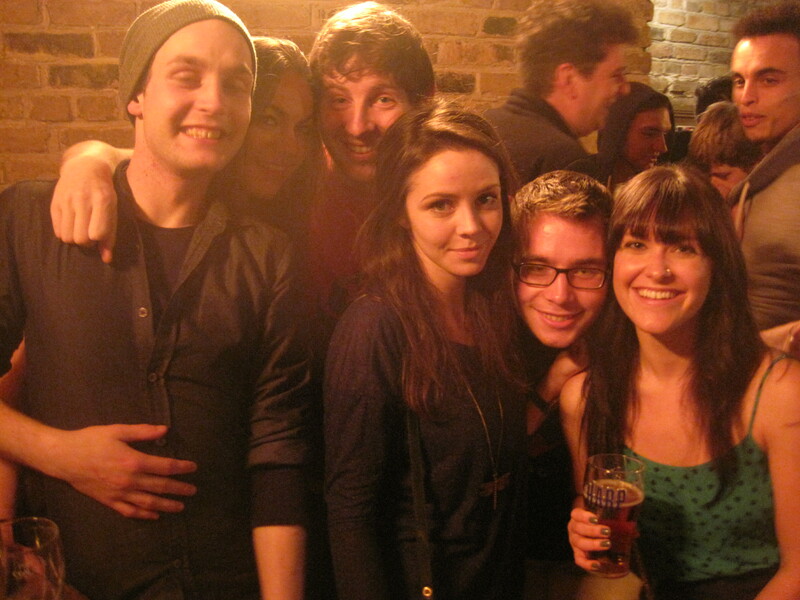 If I hadn’t met my new friends, I wouldn’t have gotten into the gig. Serendipity. Matt Corby’s gig was everything I could’ve hoped for and more. His ridiculous vocals tore me to pieces. In a good way. Music. It’s a wonderful thing, and I’m so grateful that Dublin is a hotspot for it. I am about to begin a huge adventure and I don’t think the reality of it all has hit me yet. Sure, I’ve done my fair share of research on Ireland and have tried my best to educate myself on Irish customs and history, but there are still so many unknowns and experiencing Irish culture first hand will be completely different than researching it. Fun facts aside, my question is, can you ever really prepare yourself, mentally and physically, for an adventure abroad? 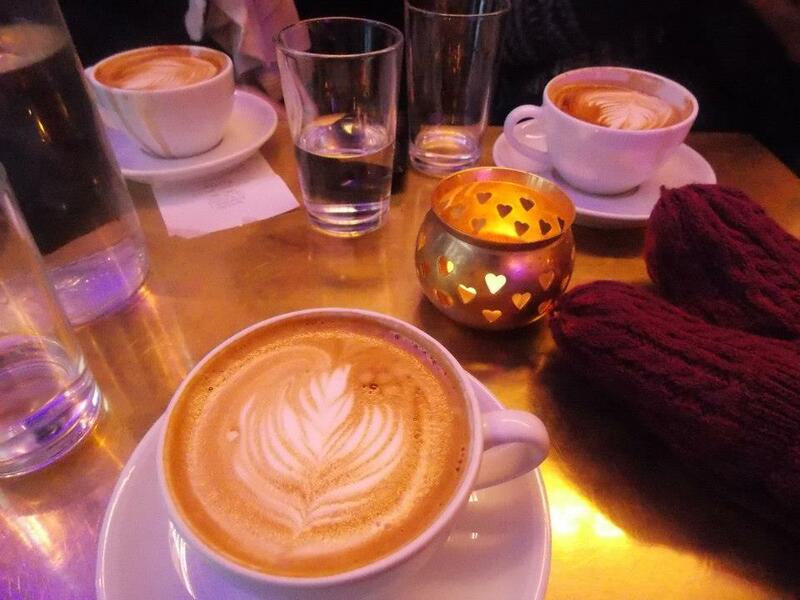 Yes I can spend hours on Google and blog surf everything I can think of about Ireland, but I won’t know where I’ll love to drink coffee until I get there. I can pack and repack 10 times, but I won’t know if I packed appropriately until I get there. I can watch P.S. I love you over and over and it still won’t prepare me for the Irish man that is guaranteed to sweep me off my feet with that amazing accent of his. I can make a list of places to see and things to do, but what about all the things I don’t know that I want to do yet? And then there’s all of the people I haven’t yet met who are going to change my life. Am I excited? Heck yes I’m excited. I’m excited for the newness of it all and experiencing a continent that I have never stepped foot on. I’m excited to build new relationships, discover my new favourite pub, learn to love the rain, embrace new music, and be pushed outside of my comfort zone. I’m excited to find inspiration in the unknown and look in awe at my adventures in retrospect. Ireland being my destination is already a surprise and I have no idea what this adventure holds, and that is what I find most exciting of all. Bryson sums up the exact reason why I love to move to new cities. I want little things like ordering a pint or doing groceries to be unfamiliar. I want to be surrounded by accents and new sights. I want to make every day an adventure.